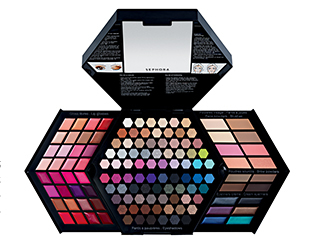 Sephora is set to wow us (again) this month with its eye, nail, foundation and hair products! With an anti-overflow nail varnish, an advent calendar hiding a host of lovely surprises, a hair stylist duo that get in our heads in all the right ways, a kit to keep us going all night long, virtual assistance to track down the perfect gift and even a rabbit with good intentions, November is looking like an absolutely fabulous month! The British duo we love? Paul (Percy) Percival and Adam Reed, aka Percy & Reed. Both hair stylists, one works the studios while the other is salon-based. And though they’ve tended to the lovely heads of international stars, our manes were missing from their illustrious CV. But that gap has now been filled thanks to Sephora! - A Volume, Hydrating and Divine Shine Shampoo & Conditioner line and a Hydrating Mask to start off on the right foot. - Styling tools to give free rein to your (hair) style (Volumising No Oil Oil for Fine Hair, No Oil Oil for Thick Hair, Volumising Mousse, Blow Dry Spray, Dry Shampoo, Invisible Dry Shampoo, Dry Instant Volumising Spray, Finishing Polish, Session Hold Hairspray and the Shine and Fragrance Spray). - And the same range (Shine and Fragrance Spray, Wonder Volume and Sumptuous Shine Hair Heroes) even comes in a travel size to ensure you take off, land and live in style – wherever you're headed! 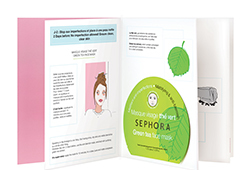 (Really) inspired by our day-to-day life – and everything we need – Sephora has come up with some more cosmetic gems. Pampering ourselves is true indulgence! Pow pow powder! Get the pin-up look and dust your body in this fine shimmering powder coiled beneath an alluring rosy powder puff. 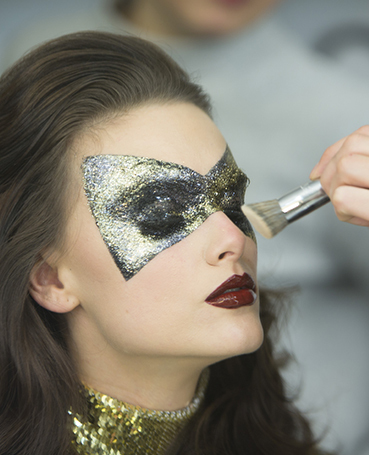 Your face, body and décolleté will be all ready for the end-of-year celebrations. 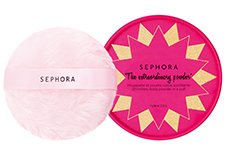 The Extraordinary Powder – Powder puff and shimmering body powder – €11.95 for 10g. Tweexy – Voulez-vous varnish avec moi? Which ring is Tweexy going to slip onto your finger? Pink quartz, sapphire blue or green emerald? 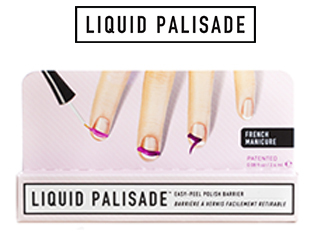 Liquid Palisade: apply a thick layer of this patented anti-overflow peelable liquid polish to the edges and cuticles just before applying the varnish. Once you've finished, gently peel back the dried product. You'll find an ultra-clean and extremely precise finish. As though, for once, it wasn't applied by a five-year-old. Liquid Palisade French: the same idea but this time to successfully produce (finally!) a French manicure worthy of the name. 1) Place the liquid tape where you don’t want to apply varnish. 2) Apply the polish to the edge of the nail. 3) Pull back gently. 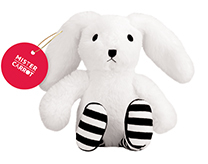 So clever that it can also be used for more varied motifs like stripes or polka dots.